We will be hosting our annual social for Cardiff Design Festival. This years pub quiz is going to be a bit different with a number of extra media sections. Hope you can come and join in the fun. 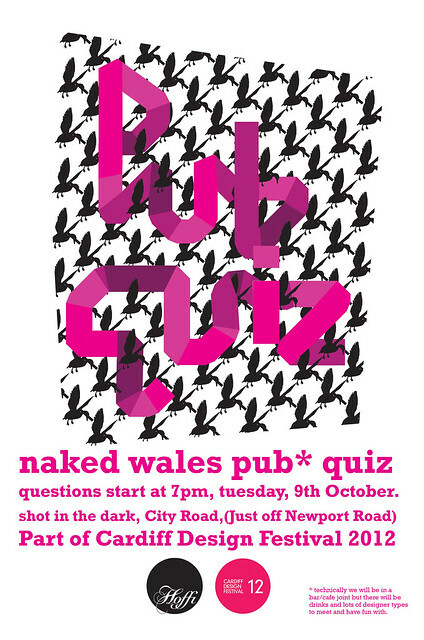 Question start at 7pm, tuesday 9th october at Shot in the Dark which is on City road just off Newport road.